Enjoy the traditional chinese tea ceremony with live classic violin show at our stand: Hall 5B X042. 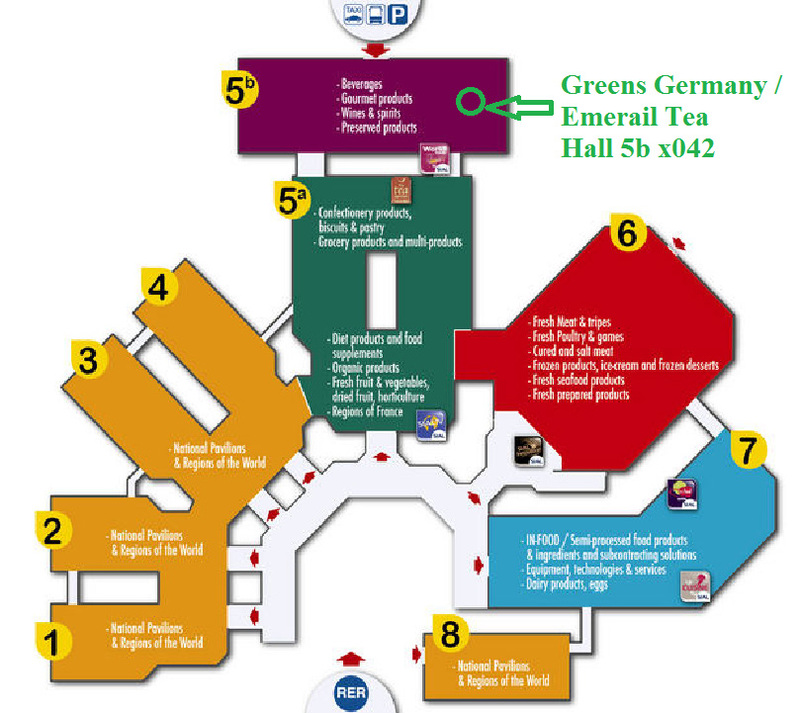 We are constantly looking for new sales partners and distributors for our tea in Europe. For example in Germany, the UK, France, the Netherlands, Poland etc. If you want to supply your customers with Emerail tea, we make you an individual offer and support you with a number of promotive activities. Just contact us and find out about the numerous possibilities of Emerail. GREENS GERMANY WILL SUPPORT YOU! We come to you and personally introduce our teas at your chosen sales location. In traditional clothing and style, we offer a feature of a traditional Chinese tea ceremony. In this way, customers can get to know our tea products while simultaneously gaining a lively insight in Chinese tea culture. We also provide tea samples so that customers can try our teas for themselves at the comfort of their own home. We offer test samples of our products as well as info-flyers and posters to help you promote your sales. We implement a range of promotive marketing activities including advertisements in wellness and lifestyle magazines. To our market launch, we carry out a sweepstake which gives customers the possibility to win a trip to China and tour our tea plantation. We offer our tea in top-quality decorative packaging, such as our sturdy and reusable aluminum tins. We also offer you the possibility to place your company or product name next to the Emerail logo in order to sell the product under your own private brand. The winners of the second round of our Sweepstake have already been chosen. Ms Dörter and Mr Knab from Sandhausen will be spending ten days in Guizhou this year, enjoying the lovely home-base of our tea farms. The next chance to win can be yours! 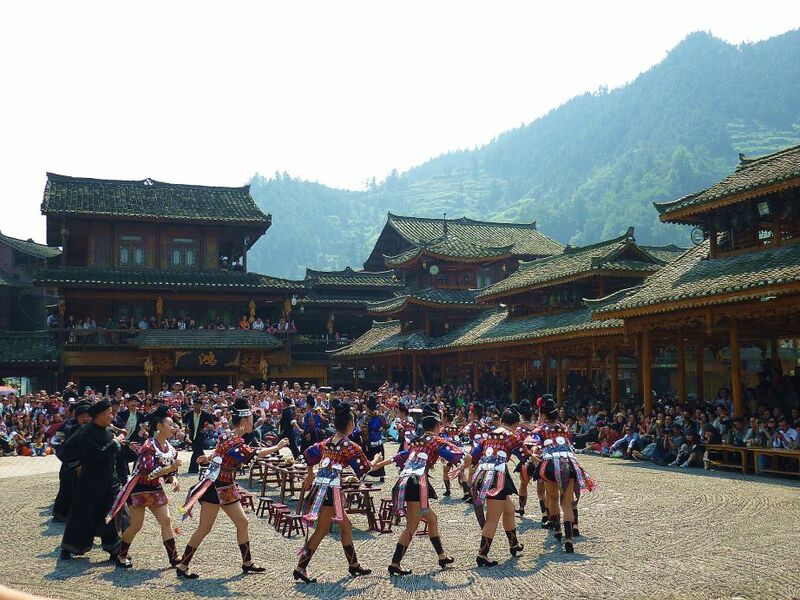 The next winner shall enjoy a trip for two to the home of our Ziran and Ruyi tea gardens, located in Guizhou. The same participation requirements apply as in our previous sweepstake. Play for a chance to win Emerail’s unforgettable journey to a region of tea growth and preservation at a place of purity, nature, and tradition. The winner will receive the chance to visit our wondrous tea gardens in the Gizhou province in China’s southwestern highlands. Get to know a unique, breathtaking sublimity. Be there and witness the tea harvest process for yourself and experience the hospitality of tea farmers first hand. Buy our Ziran or Ruyi Premium tea. Take the Emerail logo cover from the package, cut out, attach it to a post-card, and mail in to our address. Do not forget to write the return address (your information)! Mail in BEFORE October 31, 2015. The winner will receive an exciting ten day journey in China for two. Flight from Germany to Shanghai, including a one-night stay in a hotel. A flight to Guizhou for the next day. A visit to Emerail’s tea gardens. Includes transfers, accommodation and return flight. Deadline is on October 31, 2015. Eligibility applies to all persons, excluding employees of Emerail and partners. The winner of the lotto will be determined in November and subsequently notified in writing. Eligibility applies to those who are at least 18 years-old. Recourse to the courts is forbidden. A cash payout or sanction of the profit is not possible. All dates are available upon request and booking will be based on availability. The prize can only be redeemed once. The winner must take responsibility for all travel precautions, i.e. passport, visa, identification card or driver’s license, as well as all personal belongings. The prize-winner agrees to the publication of full name and photographs made during the trip on the Emerail website, and in other media forms. In addition, the winner’s travelogue and photographs will be published and distributed by Emerail. Only private clients will be approved for the prize drawing. Emerail not only puts in every effort to provide tea connoisseurs with excellent and rare tea products. With our customers and friends we also want to share the tradition as well as the modern varieties of China’s fascinating tea culture. This is why we organize a range of colorful promotion activities. We will personally come to your sales region and introduce you and your customers to our special teas with all our enthusiasm. We offer you a classic Chinese tea ceremony in traditional dresses or present information around our Chinese tea world in an enlightening and enjoyable manner. Follow us on our web site and our blog to be up to date on our latest activities. We currently run the next round of our popular Ziran and Ruyi sweepstake. Try and buy our Ziran Premium Green Tea or our Ruyi Premium Black Tea and take the chance to win a trip to China and visit the Emerail the tea plantations. If you are interested, please contact us for further information.